Acute Myeloid Leukemia in short AML is a kind of blood cancer. It generally develops in the myeloid line of blood cells. Rapid growth of abnormal white blood cells in observed in AML patient. However, it can even develop from various other varieties of blood-forming cells. The disease initially develops in the bone marrow which is the soft internal part of the bone. In acute myeloid leukemia, the cells of the bone marrow do not mature in the normal manner and they are called blast cells. Other names for this condition are acute myelogenous leukemia, acute myelocytic leukemia and acute non-lymphocytic leukemia. Acute Myeloid Leukemia symptoms are vague, and are observed when leukemia cells replace the bone marrow. When the replacement takes place drop in red blood cells count, white blood cells, and platelets is observed. Symptoms observed are also caused by these changes in blood cells. The early signs of AML might be like the ones which ate caused due to flu or various common diseases. These symptoms include fatigue, fever, night sweats, and loss of appetite or weight loss. Symptoms of Acute Myeloid Leukemia that are caused by drop in platelets include frequent bleeding, frequent nose bleeding, observing bruises without any particular reason, and improper bleeding even for minor cuts. AML symptoms observed when the white blood cells decreases are regular fever and recurrent infections. Acute Myeloid Leukemia will also result into abnormal sized white blood cells. Due to this increased size of white blood cells, passage from tiny blood vessels becomes difficult. 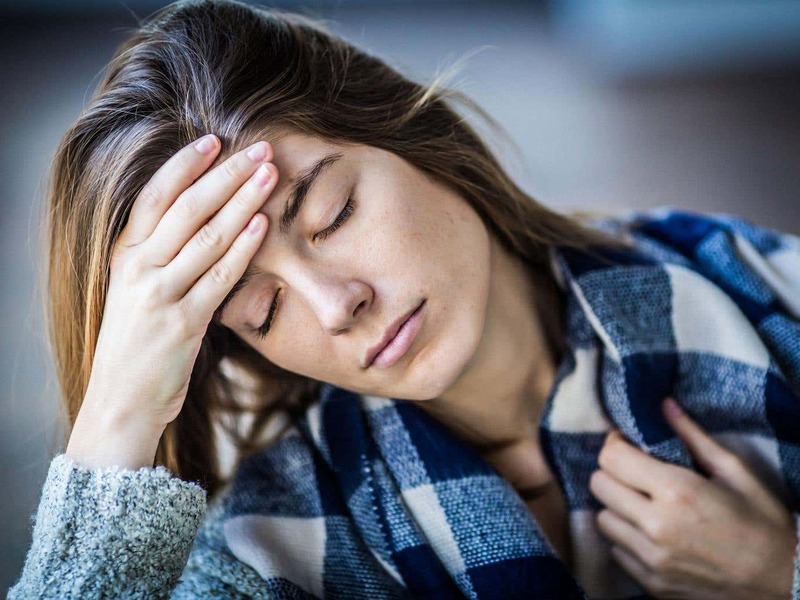 In such case, symptoms such as headache, blurred vision, confusion, slurred speech, weakness in one side of body, and feeling sleepy are observed. People suffering from AML or acute myeloid leukemia might also experience problems with clotting and bleeding. These people might experience bleeding from the nose which would not stop or a cut which would not stop oozing. Calf swelling from blood clot and shortness of breath are common problems associated with acute myeloid leukemia. Next in the list of common Acute Myeloid Leukemia symptoms include experiencing pain in joints and bones. Some people might also suffer from joint pain or bone pain due to the build up of leukemia in such areas of the body. AML cells collect in the spleen and the liver resulting in the enlargement of the spleen and the liver. This might be noticed as swelling or fullness of the belly. These organs are generally covered by the lower ribs but when they get enlarged, the doctors can feel them easily. 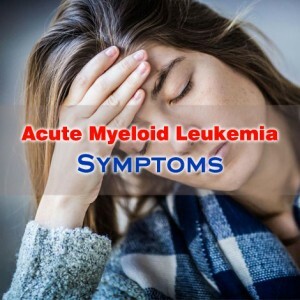 Other Acute Myeloid Leukemia symptoms that are observed are lumps or spots that look like skin rashes, bleeding, swelling, and aching gums, vomiting, facial numbness, and trouble with balancing.